The Bald Head Association in conjunction with the Village of Bald Head Island, the Old Baldy Foundation and the Bald Head Island Conservancy, wrote, illustrated and produced this audio tour and map of Bald Head Island with the locations of the areas in the tour marked on the map, as well as calling out the locations of all the historical markers on the Island. This professional audio was recorded at WHQR radio in Wilmington. Maps can be picked up at the Bald Head Association office, located at 111 Lighthouse Wynd. 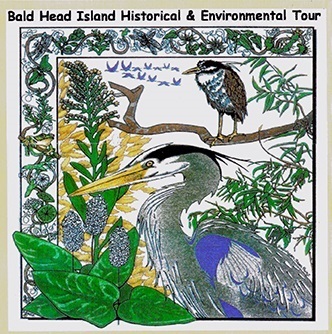 The tour is a terrific way to familiarize yourself with the area and to learn more about the secrets of Bald Head Island. A black and white scan of the map can be downloaded HERE. Stop 10, Stop 11, Stop 12, Stop 13, Stop 14, Stop 15, Stop 16, Stop 17, Stop 18 and Conclusion.